Eric and Ern capture the brilliance of Morecambe & Wise in this fantastic homage. Straight from their hit West End, Olivier Nominated show "Eric and Little Ern" which Ian and Jonty wrote and performed in. 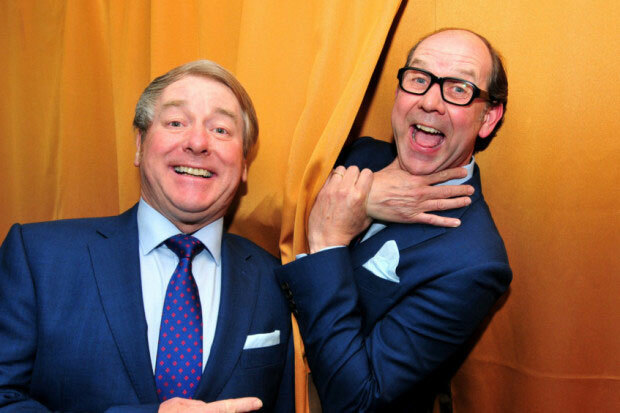 Now see them as Eric & Ern and be taken back to a world of sunshine and laughter. Their brilliant homage hits all the right notes! From Greig's Piano concerto to Mr Memory, "Arsenal!" A show full of Morecambe and Wise's most loved routines. You'll feel you've seen the real thing. Highly acclaimed for their portrayal of the legendry comedy duo, Eric Morecombe and Ernie Wise, talented actors Ian Ashpitel and Jonty Stevens return in this new and fabulous show, crammed full of renditions of those famous comedy sketches, evokes memories of times when whole families would huddle around the telly on Sunday evenings to share in the much loved antics of Britain’s national treasures.